The twelve ‘Poldark’ novels were written by Winston Graham and originally published from 1945 to 1953 — and also between 1973 and 2002. The stories are set in the county at the end of the 18th and beginning of the 19th centuries, a time when the tin and copper mining industry in Cornwall was booming (and sometimes busting). Graham was inspired by both the landscape and history of Cornwall, and the novels capture the spirit of the times, as well as social, technical and political detail very well. In 1975 the original series of Poldark hit TV screens. Featuring actors such as Jill Townsend, Clive Francis, Angharad Rees and Ralph Bates it soon captured the hearts of the nation. 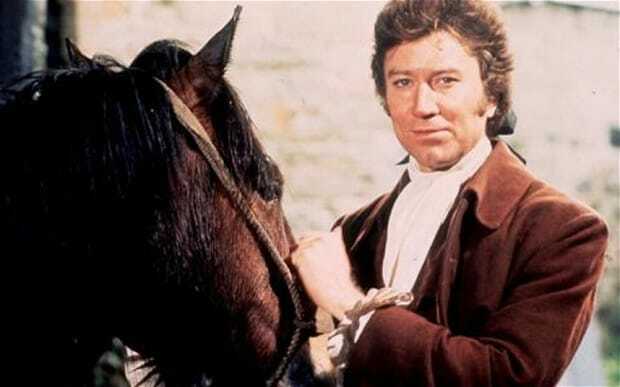 Ross Poldark was originally played by Robin Ellis, who fitted the head strong character perfectly. The series follows Captain Ross Poldark, who, on returning from fighting in the American War of Independence, looses his fiancee Elizabeth to his cousin Francis. Eventually marrying his servant Demelza, Ross doesn’t forget his feelings for Elizabeth. The story then follows Ross as he puts his mind to making his business, a derelict tin mine, a success. The episodes depict Cornwall at this time brilliantly and follow the lives of the Poldark family through ruthless behaviour from enemies, smuggling and the struggle that was tin mining. Life wasn’t easy, but the story is captivating and heart warming. In March 2015 the Graham’s books were re-issued as the new Poldark series came back to our screens. A further two will follow this with the second series arriving in September 2016. Graham’s son, Andrew, has worked with the makers to ensure that special care has been taken to ensure that the episodes stay true to the original story.